Patient – Practitioner relationship has always been a core matter of study for many psychologists and researchers. In addition, it has played an important role in effective healthcare and patient compliance. Until a patient does not overcome his hesitation or the doctor takes his/her patients into confidence, they probably won’t take compliance with the prescription serious. In an era where technology has brought has too far, Practicing is transforming to digital. This revolution has enhanced healthcare minimizing deficiencies in the system. A key shortcoming of the prevailing system is that patients are considered as temporary clients. GoDoctor rectifies this matter by the establishment of database and show-case profiles of the patients. This ensures that doctors won’t fail to notice any preceding case. A consultation won’t last more than half an hour, but practitioner’s care would continue…. Allow patients to have a realtime view of your availability and book appointments online. Get yourself showcased in the ‘My Doctors’ section on Go-Doctor and get upto 30% repeat appointments. Allow your patients to ask follow-up queries from anywhere and offer them a delightful experience. GoDoctor has been comprehensively modulated and monitored keeping in view the requirements of Doctors and their clients. Your patients don’t really like waiting for too long. 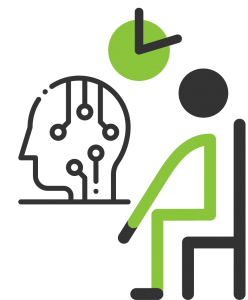 Save your and their time with Intelligent Queue Management. Patients are already upset from illness, and you don’t want them to bear anymore. An on-time patient with a planned appointment should not annoy anyone who is waiting for 2 hours without an appointment. GoDoctor features Intelligent Queue Management property which acts justly with waiting patients and handles in such a way that patients won’t complain you about long queues. Sorting out queues in such a manner was never possible before. GoDoctor truly performs responsibly. An automated follow-up SMS to patients before an appointment drastically reduces chances of no-shows. Patients are confident to visit Doctors who realize their care and interest. Better communication between Patients and Doctors. Resolving inefficiencies in management of Practice. Bringing clarity to your current workflow and forthcoming tasks. I love Godoctor because it's online and easy & is helping me grow my medical practices. Godoctor team, Keep up the good work! Prior to using Godoctor , I used paper records. Godoctor cloud-based solution has enabled me to have access to my patients records at all times. It also allows me to easily prescribe and renew medications. I can access valuable patient data using the reporting feature. It makes it easy to keep in touch with referring physicians by sending them consultation reports and test results. Godoctor has made it possible to be more available for my patients at all times. I can follow them in the office or away from it just as easily. I enjoy Godoctor cloud-based system because I am able to use it at work and at home as well on my computer and iPad. Godoctor has helped, save me time. E-Prescribing is very easy. The templates speed up my charting. Godoctor has made it possible to be more available for my patients at all times. Ensure that GoDoctor is accessed only from places that you feel safe. Additional layer of security to make absolutely sure that unauthorized access don’t happen. 1. Is my data safe and secure? Ans: Your data is encrypted and hosted on a secure cloud server. It is as safe as your data on social media sites or your bank accounts online. Only you or your authorized person can have access to your data. However, protection of your password is your own responsibility. 2. If I get stuck up who will help me? 3. Can my staff copy or leak my data? Ans: No your staff has limited access to your records. He is only able to search and register the patients and make an invoice. Additionally, he can view current date patients only. 4. What are the requirements to run this program? Ans: You need a computer, a printer and a good internet connection. No downloading or installation required. 5. What to do if internet connection is lost for some time? Ans: Keep on working without EMR for some time as you have been working previously or wait for a while as airline offices or airport services do. But internet service is much better now and it happens rarely and let us hope that services will improve more in future. 6. What is the surety that you will not increase the charges later on? Ans: We have tried to keep the charges at a minimum level in spite of heavy charges born on development team working for last two years. Charges will not be increased in future, rather we may reduce the subscription with the increase in users. 7. I have tried many EMR's but they were so time-consuming that I had to revert back to traditional practice. How is this EMR different from others? Ans: Most of the EMR's are developed by programmers of course with consultation with health care professionals who have never used EMR. These programs may be technically very good but fail to satisfy the users due to inadequate user input. 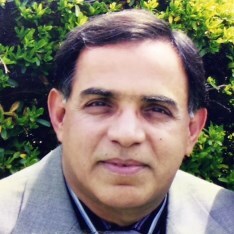 GoDoctor is designed by Prof Dr Brig Arshad Chohan ENT consultant, who is using EMRs since the year 2000. 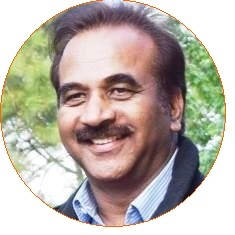 He himself has developed patient databases and has computerized different hospitals. TechGallop has developed it under his direct supervision. 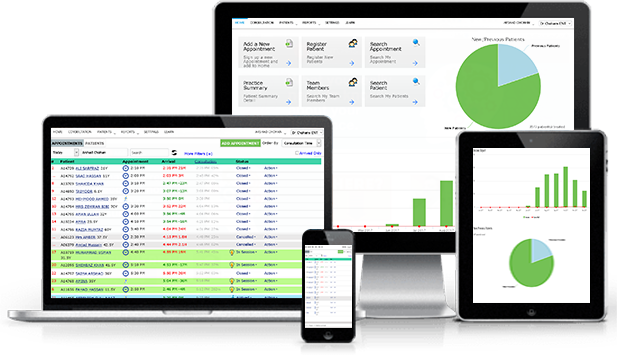 Our team worked closely with him to make this a better product. Once you use it you will find it very user-friendly and different from other EMR's. 8. How can I subscribe to GoDoctor? You may ask for a free trial of 1 month. We will be sending you an account number. After transferring the required amount you will confirm subscription by SMS or email. Within 24 hours your account will be created and password will be sent to you. Healthcare practice has been your passion. We made efforts to take this good cause Go ahead. We provide Practising Management Software to improve the healthcare system in Pakistan. 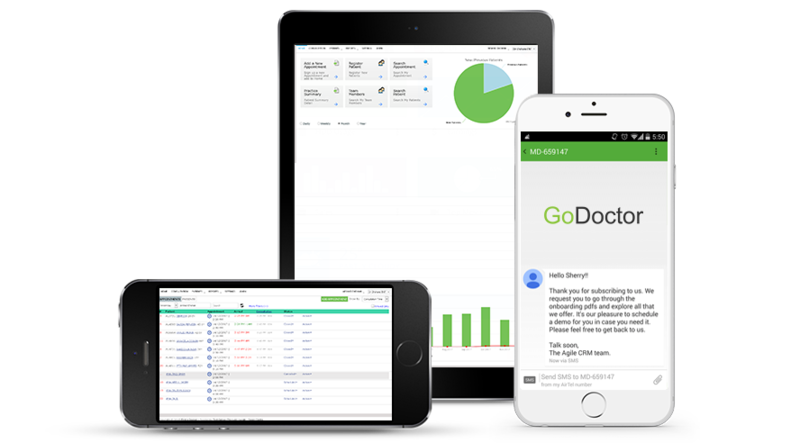 Work efficiently anywhere from a single portal, simplify your medical practice and show your professionalism through GoDoctor.